I hope we will see the Duchess in public again soon! On 17th Feb, the Queen and Kate will host a reception at Buckingham Palace for the dramatic arts. Guests will include actors and directors. Excellent. Lets fill the calendar up with interesting engagements like this. A great opportunity for Catherine to learn from HM on the job. So now Kates coming to the reception? If there is a picture of her With Robert Hardy , I don't know if I can stand the excitement! Thanks, An Ard Ri. I'm not sure I would take it too seriously. The headline is misleading ... the article doesn't say that he's shot anything on this trip. Wouldn't he have just gotten there, since it's a weekend trip? I'm not so sure the count of 740 partridge shot in one day is accurate, either ... he would have had to shoot one partridge every 2 minutes, all day long (1440 minutes in one day). But truly, this wasn't a very wise move, PR-wise. I'm thrilled to see a major piece of jewelry being worn by Katherine, thus I'll reserve comments on the hair, although it would have been nice to see those 38 (or is it 28) diamonds that form the chain of the necklace. 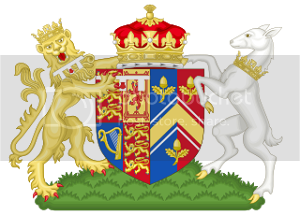 From up thread - is it unusual that the Queen and the Duchess of Cambridge will be greeting the guests and watching the performances and then afterwards they will be joined by other members of the Royal family including the DOE? Wouldn't the DOE normally be greeting guests as they arrive? Kate's hair has really caused quite the reaction. I didn't realize that it was inappropriate to wear loose curls with a diamond necklace. Maybe I'm missing something, but why would Kate need to wear a petticoat or a slip? From all of the pictures I've seen, there's nothing showing. For all we know she was wearing a slip underneath - you certainly cannot tell one way or the other from the photos as the dress is not see through, although in one shot the way the underskirt shimmers and moves under the transparent over skirt could give that impression. I thought her short speech went pretty well. Although she stumbled on her words in the end but handled it with grace and a smile. It was good to see her kicking off her official engagements for 2014. I'd like to hear about some joint engagements coming up. Re your last point - if the PoW and DoCornwall are anything to go by, that probably won't happen. So far this year these 2 have done c. 65 engagements of which only 6-7 were together. All of the Wessexes engagements have been solo as well. I think that the BRF are making existing resources spread further by doing more solo engagements. The exception will be important overseas trips to the likes of Australia NZ and Canada. I think we will see W&K together on march 17 for the Irish Guards St Patty's Day event. Royal women are the traditional givers of the shamrocks. Plus Kate missed the medal ceremony to go to the hospice in December. I was thinking that she'd do this without him! He should have his head down studying at Cambridge. I hope she remembers to keep her mouth shut in front of the photogs - because, you know she should know better. Never open your mouth until you pass them. Must remember, must remember. And then when she speaks I hope she does not embarrass herself, yet again. Maybe, keep it to "yes, thank you," "I agree," "How lovely," "Art is important to our souls," and "Lupo is fine, thank you." The poor thing is obviously incapable of anything else. I hope attendees have been prepped to NOT correct her many errors. That noise you may hear is the steady drip, drip, drip of sticky sarcasm, BTW. She's allowed to mention the dog? I suppose, as long as Lupo allows it, yes! But only veiled references to the corgies.